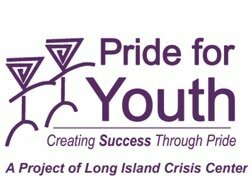 Pride for Youth, a program of Long Island Crisis Center, will be participating in the 2nd Annual National Give OUT Day, which takes place on Thursday, May 15th. Bellmore, NY - April 24th, 2014 - Pride for Youth, a program of Long Island Crisis Center, will be participating in the 2nd Annual National Give OUT Day, which takes place on Thursday, May 15th. Give OUT Day is a day of philanthropy for lesbian, gay, bisexual, transgender and questioning/queer (LGBTQ) individuals and their straight allies to show their unity across the country by raising funds for their favorite LGBTQ organization. Pride for Youth is located at 2050 Bellmore Ave. in Bellmore. If you are interested in participating or want more information, please contact Erin Furey at 516-679-9000 or efurey@longislandcrisiscenter.org. Subject: LongIsland.com - Your Name sent you Article details of "Pride For Youth Participates In 2nd Annual National “Give Out Day”"